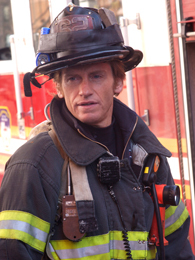 A Chat with Denis Leary, Denis Leary interview, "Rescue Me"
The writer’s strike really put a damper on a lot of people’s TV viewing, and one of the series that was profoundly affected was FX’s “Rescue Me,” which won’t find its 5th season premiere until early 2009. In the meantime, however, your favorite firefighters will be bridging the gap between Season Four – now out on DVD – and Season Five with a series of 5-minute “mini-sodes,” the first of which will first air on FX on June 24 at 10 p.m. If you forget to set your TiVo, however, you’ll still be able to catch them online via the wonder of Sony’s go-to site for video, Crackle. 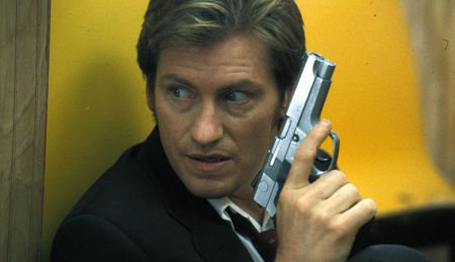 Bullz-Eye was fortunate enough to chat with Denis Leary about how these new “Rescue Me” adventures came to pass, how the series originated in the first place and which characters have evolved the most. He even provides some info about what to expect when Season Five finally rolls around. We also talk about his work with Kevin Spacey on “The Ref” and “Recount,” and his stand-up work, but perhaps most importantly, we ask him about the eternal accusations of his having plagiarized material from Bill Hicks -- and living to tell the tale! 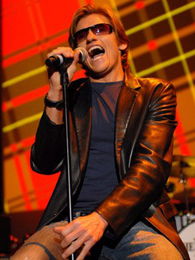 Denis Leary: So, what’s going on? Bullz-Eye: Nothing much. It’s a pleasure to talk to you. Well, I guess I’ll start by asking you about these new “Rescue Me” mini-sodes. I know the big reason for them is to keep the fans in good spirits while waiting for Season Five, but whose idea was it to do them in the first place? DL: It was actually FX’s idea. Peter Tolan and I have said this before, but John Landgraf (the network’s president and general manager) is not only a fan of our show…obviously, because he puts it on the air…but he’s actually one of those executives that almost every time he reads a script goes, “What if you guys did this?” And we go, “Goddamn it, why didn’t we think of that?” So this is one of those ones where he came up with the idea and said, “What do you guys think about this?” And we thought that was a great idea for the fans. You know, I was a “Sopranos” freak. If the “Sopranos” had had mini-episodes in between some of their bigger gaps, I would have been gobbling them up. So I think it’s a really good idea. BE: Now, do some of the plots within the mini-sodes play directly into the new season? DL: Yeah, they kind of bridge the gap, you know? But I think it’s good, because the fans get a chance to see what the guys are up to and I guess it kind of keeps it alive. BE: To jump back to Season Four, it had the darkest moment of its run, practically, when Tommy almost murdered his nephew. How do you keep an antihero like Tommy so likeable? Is it the combination of his humor and of giving him the opportunity to perform the occasional redeeming action? DL: Well, yeah, the fact that these guys are firemen is the great redeeming salvation. But it’s also, you know, as it is in real life, it’s often the reason firemen…New York City firemen, anyways, but I think firemen in general…guys who work in busy, urban circumstances, they don’t…you know, I love those guys, but they’ll admit themselves that it’s hard for them to deal with real life when they deal with life and death all the time. So things that we sort of get used to doing, they kind of look at like it’s no big deal to mow the lawn or whatever. You know what I mean? I think it’s probably the reason that we wanted to do the show and the reason the audience responded. It’s just, like, what are these guys like in real life? BE: Actually, I was going to ask that. I was wondering if you had had maybe the germ of the series idea even as far back as…well, even before you started the Leary Firefighters Foundation. DL: No, that came first, because that was in response to the fire that killed my cousin. I was way too close to that tragedy to even remotely think about anything creative. I was just thinking about trying to help those firefighters and their families and stuff at that time. Then an idea started to germinate in my head, right after 9/11, because there were so many funerals and just such a twisted, weird series of deaths connected to that thing of guys I knew. I was thinking of it as a movie, you know, and I was still doing the series, “The Job,” and I was very busy, so I just kind of put it in my back pocket. I guess I’m slightly…it’s not that I’m lazy, I’m just not as smart as I look sometimes. For better or worse, an idea sits in my back pocket and then I go, “Wait a minute, what if we do this?” I think it was Peter Tolan’s idea. I think Peter said, “Why not do it as a series instead of a movie?” As soon as he said that, I said, “Oh, yeah, I didn’t think of that. I was trying to figure out how to tell one firefighter’s story in the course of two hours.” Once he said that to me, it made a lot more sense. BE: Well, after you realized it was going to be a series, did you have a mindset of how far you wanted the story to go, as far as how many seasons? I mean, provided that it was a success, of course. DL: No, we were just thinking season by season; episode by episode. So now, we’re in the fortunate circumstance of actually being picked up, you know, like it’s perpetuity. I’ve never been here before. You know, you kind of think in your head, “Maybe we should get ready, we don’t want to stay too long,” and all those things that everybody talks about. But then you get the actors in the room after a break, and you start watching them work, and you just go, “Oh, my God, we could do this forever!” And I’m a greedy guy. I mean, I would have watched “The Sopranos” for another four or five seasons. So I’m not the right guy to ask about that kind of stuff. We’re still having a really good time, so that’s the main thing, I think. BE: Is there a particular character progression that you never would have imagined happening when the show premiered? Like, a character who is someplace now that you never could have conceived when the show began? DL: I’ve got to say that Mike Lombardi’s character, Mike Silletti, there has been some things that we have shot this year already that…because the characters are getting a little bit older and pushing in different directions, there are things that that character is doing and that Mike is also doing as an actor that we kind of go, “Wow, this is something different,” which is interesting. Then there are other people, like Callie Thorne (who plays Sheila Keefe). I don’t know why, but it never surprises me how we can throw something different at her and she can take it and run with it. You know, Daniel Sunjata (who plays Franco Rivera) has done some stuff this year that we forget how good he is. It’s a really, really, really good problem to have. BE: Absolutely. A couple of the other writers had some specific episode questions. At this point in the story, do you think that Tommy knows, or at least has a feeling, that Sheila burned the house down? Or can you speak to that? DL: I think they are attached at the hip because of what went on. And this year, they become even more so because Damian, his cousin Jimmy’s son and his godson, has finally decided to become a firefighter. Which is a tradition in firefighting that the only person who can take over a badge number that’s been retired because of death in the line of duty is a son. He’s decided that he’s actually going to go into the academy, which is the last thing his mother wants and not necessarily the thing that Tommy wants. But once the kid decides to do it, Tommy doesn’t really have a decision. I think he feels responsible for so many reasons for the kid, and also because his own son has died. He feels like, “I’m going to take this kid under my wing.” So that’s a really interesting storyline and, again, true to form. A lot of the FDNY tradition comes from a father passing the tradition down to his son or to a nephew, so it kind of runs in the family. BE: Given that Tommy is kind of a sucker for messed-up women, are there any new ones in store for the season, or will it be the trusty triangle of Tommy, Janet and Sheila? DL: No, there are a couple of new female characters coming in that…Tommy’s girlfriend from last year, played by Gina Gershon, is back. But he’s on a quest for…famous last words, but he wants to meet someone. He wants to actually have a relationship, which, of course, once you decide that, you can’t meet anybody, because you give off the scent of desperation. But he has decided that he wants to finally meet somebody and have a long-term relationship, and that’s what he’s on a quest for, which is, believe me, a shock to everybody except him, apparently. And that’s what he’s trying to do this year. BE: Like you haven’t been asked this before, but when you and Peter had the idea for the “Sparks” episode, did you go, “Boy, this is going to be trouble,” or did you think of it as a natural development for Tommy and Janet, given the relationship as it had been established? DL: Yeah, it’s one of those relationships that has all the worst elements of give and take to it. I actually have a female friend who had been through that experience when she was going through her divorce. They are still not away from each other. They’re still sort of responsible for these kids together and they still have to talk to each other and they still have that sort of magnetic pull. It’s still there. It’s the reason they argue and it’s the reason they can’t get away from each other. But this year, they are trying to establish these two separate lives and these two distinct long term relationships and try to get away from each other. But inevitably, because they share these children, they have to come back to discuss them and the issues and everything else. So it’s going to be interesting, especially when Tommy gets into a really long-term relationship. BE: Did you enjoy doing the HBO movie, “Recount?” I know a lot of Republicans didn’t enjoy it, but I thought it was great. DL: Well, you know, I did enjoy it because I was working with Kevin (Spacey). BE: Yeah, I was going to ask about that. Was that the first time since “The Ref” that you two had worked together? DL: Yeah. I mean, we’ve done various little projects together for charity and stuff like that, but…it’s hard to get me to go anywhere, but especially to go to Florida for three months or four months, or whatever it was, unless I’m going to have a good time. So I really enjoyed the script, and I thought working with Kevin was going to be a blast, which it was. I just find it interesting that the Democrats ended up complaining that we made them look like wusses and the Republicans had their own screening, hosted by James Baker, because they were proud of their behavior. So I just think somewhere in the middle, there’s a lesson to be learned by both sides in that. I don’t care what they say now, but the truth is, when we were shooting and doing our research…getting ready to shoot and doing our research…everybody, because it’s politics, it’s like Hollywood, everybody has an ego, and everybody wanted to talk and everybody came in or got on the phone and was interviewed and wanted to tell their side of the story. They all think they are going to come out looking like the hero. So when it comes out and it’s done, they all go, “Well, I didn’t say that,” and, “I would never do that.” And it’s, like, “Well, you did.” Because everybody was involved in being in a room with other people. Nobody did anything on their own. When we were gathering as actors with the writer, we would go, “Well, my guy said this and his guy says this, and somewhere in between is where the truth lies.” I thought it was interesting. My guy saw it when it was done and he thought it was great. So that’s all I really cared about was my character; if I got the accent right and if I got the words right. BE: Next question: isn’t it time for another round of standup? DL: Well, I do it every fall. I do it for charity, and I do the New York Comedy Festival every fall. I do a big event up in Boston; we’ve been doing it for 14 years now, called the Comics Come Home, which is for the Cam Neely Cancer Foundation. Which is like 8,000 people, and every year I bring Jon Stewart and five or six other big guys. I do it every fall; I just don’t go out on tour because I don’t have the time. I don’t do old material; I do brand new material, so I’m keeping my chops up. But this year, in March and into April, we’re going to take a break from “Rescue Me” while we are shooting and we are going to do a “Rescue Me” tour with myself hosting and my band and Lenny Clarke (Uncle Teddy) and Adam Ferrara (Needles Nelson) from the show and a couple of other young guys. We’re going to tour around the country to sort of push the fifth season of “Rescue Me” going on the air. And actually, for us, it will be fun because we get to go on the road together, which we never get to do. BE: I’m a huge fan of No Cure for Cancer and Lock 'n Load but one of the other editors wanted me to tell you that he’s used the opening from Lock ‘n Load on dozens and dozens of mixed discs. BE: Yeah. He said the dog-bone shape reference hasn’t aged well, but it still makes him laugh. BE: How many people tell you that “The Ref” is their favorite holiday movie? DL: Oh, at Christmas time, it’s, like, every time I go into a store. Which makes me happy, because you know that “It’s a Wonderful Life” is getting played, so it’s nice that the other take on that sort of holiday is being witnessed somewhere. BE: Did you feel like "Canterbury's Law" (which Leary executive-produced) kind of got the shaft before it ever had a chance to grow? BE: Once “The Job” came out on DVD, did you have people demanding you revive it in some capacity, maybe as a TV movie or something? DL: Somebody wanted to make it into an actual movie, and we were already involved in doing “Rescue Me,” so it was not an option. I kind of feel like those things…we were talking on the set the other day and they said, “What if you guys did a ‘Rescue Me’ movie?” And I said, “You know, if we were going to do a ‘Rescue Me’ movie, rather than do a movie of ‘Rescue Me,’ we would take the same cast and we would make, like, a zombie movie.” All the same actors, but we’re in a zombie movie. That would be what we would want to do. I don’t know if the audience would want to come and see it, but that’s how sick and twisted we are. BE: And the last question, so as to keep you on schedule. If I don’t ask you about Bill Hicks, I’m going to get crap from a lot of people here at the site. I love both of you guys and have never tried the side-by-side comparison. Are people just blowing smoke when they claim about his material having been swiped by you? BE: Alright, well, I’ll keep you on schedule. It’s been a pleasure talking to you, and I’m looking forward to the next season.